This angel is pointing upward to signify the departed’s journey to eternal life in heaven. 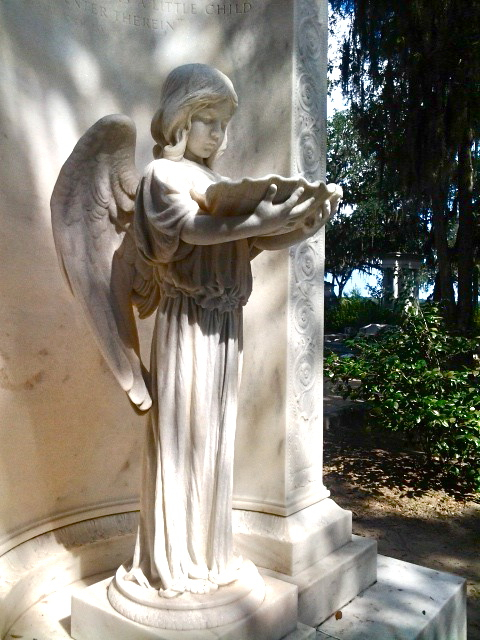 I spent this sunny Sunday afternoon taking a long walk through Bonaventure Cemetery in Thunderbolt, GA. Although it is 10 minutes down the road from where I live, I don’t visit it nearly enough. 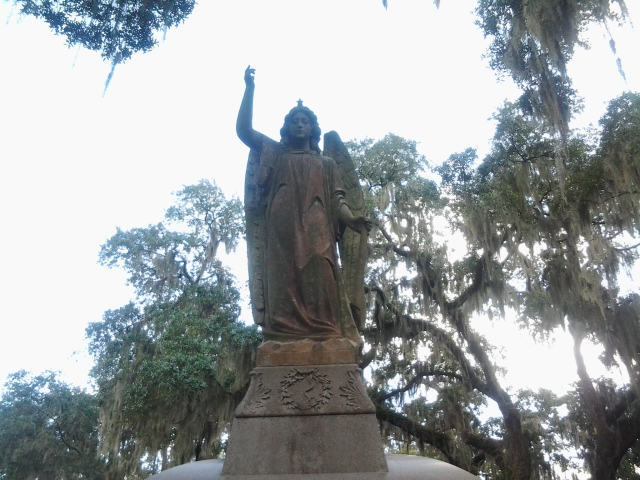 Every live oak-shaded path on this vast 160-acre property is filled with epic monuments-large and small- celebrating lives who have moved onward to the next realm. Scattered among the older graves are very recent ones, as it is still an active municipal cemetery in Savannah. 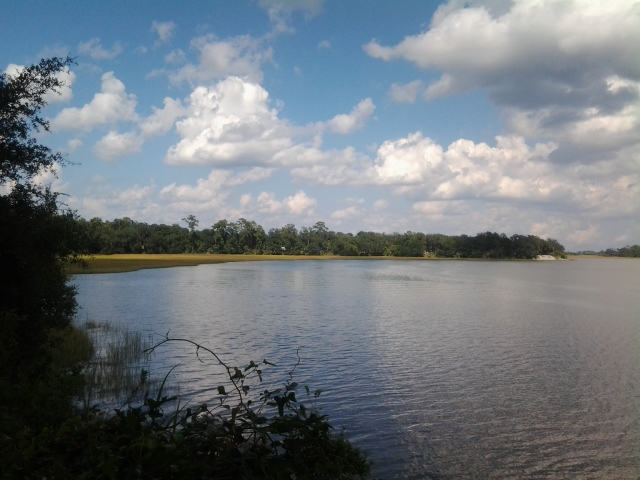 Looking from the bluff to the Wilmington River. What fascinates me about this place is how serene and naturally beautiful it is. 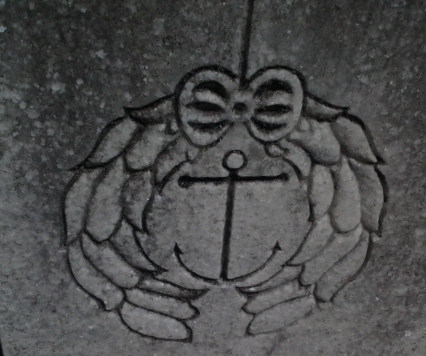 Situated on a bluff overlooking the Wilmington River, the choice of creating a cemetery here reflects an attitude of continued peace and beauty even after death. It got me thinking about how the societal views about death have changed dramatically from the Victorian era to now. The generic grave markers of today are a far cry from the final tributes the Victorians paid their deceased. They are a physical reminder of a time when people handled death in a more creative manner than we are used to seeing today. From picnics at gravesites, momento mori photography, to mourning jewelry and attire, the mid nineteenth and early twentieth century death rituals are quite interesting to look back on. During the Victorian era it was common to see wreaths with draped with black crepe to alert passersby of the recently departed. People would also shroud mirrors inside the home with a black crepe material. The custom of the wake involved around the clock supervision of the body laid out in the house for three days. This interim period before burial would allow travel time for relatives and friends, and would hopefully be enough time to determine if someone was not actually dead. As for fashion customs, widows wore all black with a black crepe weeping veil for a solid year and one day. After that period of full mourning, they were gradually allowed to add colors and prints into their wardrobes. Mourning jewelry included brooches, rings and bracelets made with a lock of hair from the dead. The expectation was that a family would spend as much as they could on a monument, publicly displaying their social status. While these lavish displays are captivating, the money spent on monuments, mourning attire and mourning jewelry eventually just became too impractical for most people and by the World War I era, many of these Victorian customs had vanished.